Episode #12 | Double Down | Podcast is ready! This month Nicole Mangina mic’d up with us to discuss key themes that have continued to bubble up in her “Seller Conversations” clock hour class. Seller conversations are indeed a very relevant topic heading into our spring real estate market. WRE Eastlake broker, Fiore Pignataro and Demco attorney, David Daniel also joined us for the conversation. Thank you all for sharing your wisdom! Ready to join the conversation? Just under 45 minutes with Nicole, Fiore, Dave and myself – when you can find the time – https://w.soundcloud.com/player/?url=https%3A//api.soundcloud.com/tracks/583509447&color=%23ff5500&auto_play=false&hide_related=false&show_comments=true&show_user=true&show_reposts=false&show_teaser=true&visual=true“>tune in here! …and if you’d like to dive even deeper around critical “Seller Conversations” + earn three clock hours + take a ferry ride to Bainbridge Island to do it all – check this out + register! Day trip anyone? It’s Friday, let’s sweep! | a guest blogger + signs of spring? The Seattle winter freeze & melt really did happen. Kids are slowly returning to schools post mid-winter breaks (ps, thank goodness). Our offices are starting to fill back up with humans. What a wild couple of weeks! I’m seeing, hearing and looking for signs of spring post melt. I do see them popping up in the ground. Are you feeling + seeing signs of a spring in our real estate market? Guest blogger, Windermere Eastlake broker, Sol Villareal put a few stats together this week worth sharing as we look towards spring. *NOTE: if you are looking for the password for windermerestats.com – text me – 206.227.7133 cell. Taking all of that into account, in the past two weeks 26% of houses and townhomes in Seattle closed above list, 22% closed at list or within 1% of it, and 52% closed below list. Of the houses that closed for more than list, 14 of them (58% of the total) closed for 1-5% over list; 4 (16%) sold for 5-10% over list; 5 (21%) sold for 10-20% over list; and 1 house (1400905) sold for 23.3% over list. Taking all of that into account, in the past two weeks 11% of condos in Seattle closed above list, 35% closed at list or within 1% of it, and 54% closed below list. Of the condos that sold for more than list price, three sold for between 1-2% over list and one (1404681) sold for 3.8% over list. Podcast topic(s): Legal Bites + Seller Conversations. You’ll begin to notice a trend in monthly “ideas worth spreading” to intentionally reflect digestible bites from some of the newer content that ProDev is coming up with for clock hours. This month Nicole Mangina will be mic’d up and feature key themes that have continued to bubble up in her “Seller Conversations” class. Post podcast, if you are looking for a deeper dive around this subject – you can go to class = win/win! WRE Eastlake broker, Fiore Pignataro will join us for the conversation along with Demco attorney, David Daniel. Windermere Broker Michael Doyle shared this on Facebook this morning – too important not to share. In some ways our conditions seem more dangerous than in our previous days. Hope these tidbits help you or someone you know! Gutters and downspouts full of snow and ice can back up if it starts raining before the snow and ice melt. I’ll ditto what home inspector Don articulated, stay dry…and stay safe! We lost a big cherry tree last night in our yard – sad. We are safe + sound – the best news. Welcome to Friday, let’s sweep! Snow that is…it really is here! Think about those people who might appreciate that call – those that can’t get around, those not feeling well etc…might be the perfect lift in their day. Stay safe + keep warm + be well👊🏻 Let’s help each other out as winter comes rolling in! It’s Friday, let’s sweep! |narrative + listing launch + a tattoo? Welcome to Friday! A couple digestible bites to wrap up this week and prepare for next… ps, welcome to February, it’s here! Wow, January was a blur. Remember KCM’s Steve Harney’s (Keeping Current Matters) four goals for brokers in 2019? 1. don’t panic 2. stay current daily 3. control the narrative and 4. every day, list *and when you list, price for what the home will sell for today = make prices compelling. Here is a good blog post with respect to goal #3 “controlling the narrative“…I ran across this in helping two brokers prepare for their upcoming Home Buyer class! For those of you getting ready to launch homes to the market – [aka, goal #4 above!] – a small reminder with significant consequences around Listing Input! A tip to assure a successful launch! On page #1 of Listing Input there is a yes/no drop down for “Internet Advertising” – choose yes if you want your listing to sweep and syndicate to the world correctly. Choosing “no” has significant consequences – aka, you’ll wonder + be waiting to see your new listing sweep to Windermere.com etc…to no avail. Imagine your angst and your client’s frustration if “no” is accidentally marked on LIP. It happened to one of our listing this week which brings me to “the why” in adding to FWL this week! People have been asking about my tattoo commentary – stay tuned – next Friday more to come on that. A few pictures above to prime the pump. What is Laura up to? Lights + camera + action! Welcome to Friday, good luck in a productive weekend in work & play! Me? Tried to stop a crook. It happened to us. Real wire fraud. Earnest money wired from one banking institution to another. The money is gone. Good news (hardly “good” in the big picture), our broker was on two-step verification on her email and thus appears she herself did not fall culprit to a phishing scam. Bad news, the optics appear that the client’s email/computer was hacked. The timeliness of the hacker was uncanny – sending an email to the Buyer pretending to be Broker (included appropriate broker email signature) giving wire instructions for Earnest Money the same day Buyer got into contract. Broker calls the Buyer Friday afternoon to T up obtaining their Earnest Money check in the “next couple of days” only to find out “oh, we already wired the money.” Eeks. I won’t go any further here in detail – I’m no dummy – my blog is a public domain – hackers included in access. The very best protection we can do is continue to educate the consumer on wire fraud. Thus far we’ve been able to provide proper steps in disclosure – between you and client. Let’s now strongly consider taking our education one step further – an added addendum within the Purchase & Sale – giving all parties another point in education and frankly, potentially more meaningful in timing vs. lost in the shuffle during disclosure packets. Friday’s wire fraud is unfortunate fuel to push us getting to 100% adoption onto two-step verification with your email address. Great news, I believe our offices are just about 100% there – that was a heavy lift – THANK YOU ALL! Real stuff. Thanks for keeping wire fraud + cyber security Top Of Mind with your clients and in your practice. Ps, I’ll give a shout out to our tech folks who created WindermereSecurity.com (WORC password required for login). This was a helpful resource to all of us involved last Friday night and helpful in taking action – where we could. That was an easy media share – and one very much worth flexing…#WeAreWindermere and we are very much rooted actively within our communities. All in, with you. Offices Closed this Monday in observance of Martin Luther King, Jr Day. If you are working within purchase and sale agreements nice & early in the year (aka, now and heading into the weekend) – when computing time, regard Monday January 21st as a legal holiday. On Tuesday, the security around the NWMLS website is being updated = meaning we’ll all need to do a one time heightened security login. A 3 minute video has all the scoop – click here if you are curious, before Tuesday. 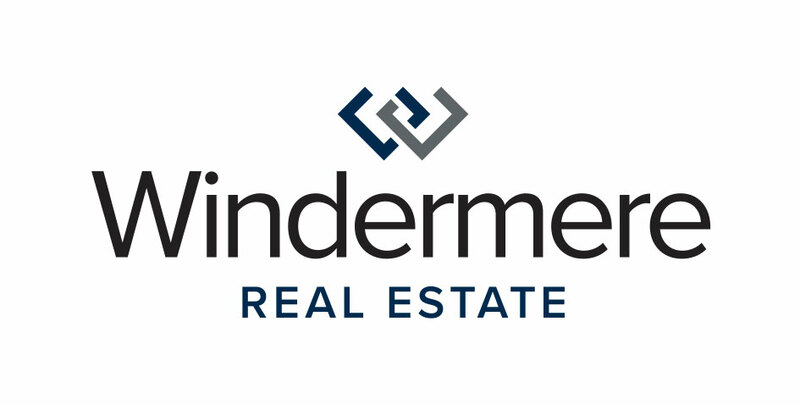 Windermere Stats thru December are out with refreshed talking points for both Seattle & Eastside. Ready for you to digest… Click here. *if you need this month’s password: text me, 206.227.7133. We approach another season in setting Seller expectations – pricing for “the now” & educating Buyers – these facts & figures do a good job in setting the table for both you and your clients. Designed for YOU! A collective goal for us this year will be to not let “wind” bother us – aka, impact our golf swing. In order to do this I agree with KCM’s Steve Harney (Keeping Current Matters) and his four goals for this year coming out of his January Monthly Market Report: 1. don’t panic 2. stay current daily 3. control the narrative and 4. every day, list *and when you list, price for what the home will sell for today = make prices compelling. *I must thank the KCM team for the Tiger Woods story, on wind. Up for a challenge? Good, let’s do it. Set one word for the this year. Setting a word can help guide you throughout the year with clear intention and keep you on track, both professionally and personally. Think of this word as a mini business plan – it’s easy to remember – especially if you hit a patch of “wind” – which we all will. In 2017 my word was Impact. In 2018, my word was Play. In 2019, my word is FOCUS. Recently I was listening to a podcast with Oprah & author, Daniel Goleman’s, on “Emotional Intelligence and why it can matter more than IQ”. At one point in their conversation they referenced “focus” as a flabby muscle and one that needs to become more fit. The gist, people are distracted most of the time. Then, good friend and broker, Tammy Heldridge from our Sand Point office share this article with me…seriously, read it! Click here. What is your word? I really do want to know! This stuff matters.